The Challenge provides a platform linking students from schools and colleges with local businesses and local charities/community groups. 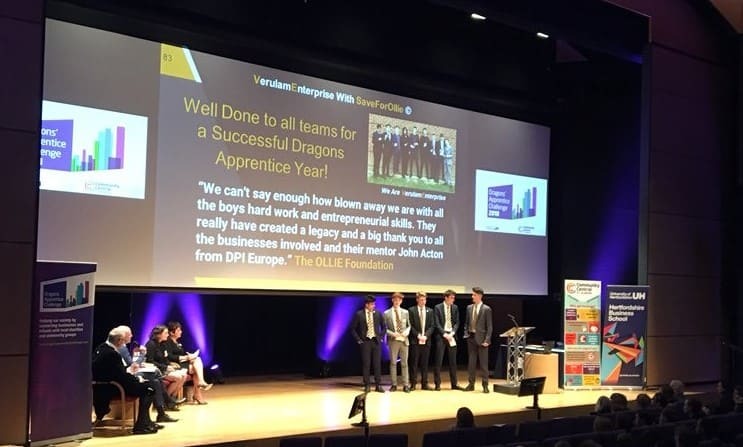 Having completed its 8th year, the Dragons' Apprentice Challenge offers Year 12 students the opportunity to experience setting up and running a business, gaining organisational and job-related skills and learning about the work and beneficiaries of their designated charity. When the Challenge commences teams of young people are matched with a local business mentor (their dragon) and a local charity or community group. Their challenge is to "turn £100 into £1,000 or more" for their designated charity/community organisation. Dragons provide support in the form of advice, and access to resources, to help their team achieve their business goal and funding target. All profits made by the teams go directly to their allocated charity/community organisation. The challenge runs annually from October - March. During the 2015/16 challenge teams of students from schools and colleges across Hertfordshire worked hard to devise ways of earning money for 56 local charities. To date over 1600 young people have participated and over £386,000 has been presented to 190 Hertfordshire based charities. The Dragons’ Apprentice Challenge is managed by the Centre for Voluntary Service (CVS) St Albans and District. To register your interest in the next challenge please contact us. 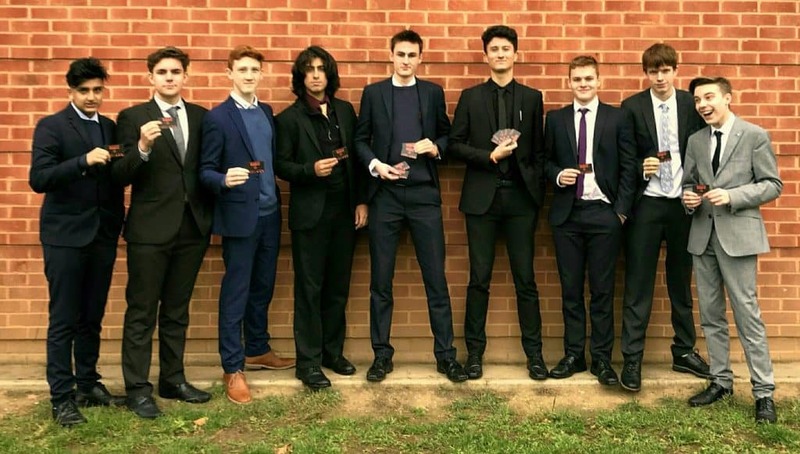 Save For OLLIE was started by a group of nine entrepreneurs at Verulam School Sixth Form that took part in the St Albans Dragons Apprentice Challenge 2018. Their brief was to create a sustainable business model to pass onto their paired charity which they fully achieved. The idea was to raise money for OLLIE, whilst increasing the amount of business local independent retailers received and provide the public a reward for engaging with the scheme. A scheme that rewards all involved. Most importantly, they created something sustainable which could be handed over to us at OLLIE and continue to raise funds for our training.